500 square feet Apartment with separate bedroom, queen size pull out sofa bed in Living room, washer dryer, full equipped kitchenette, free parking and free Wifi. 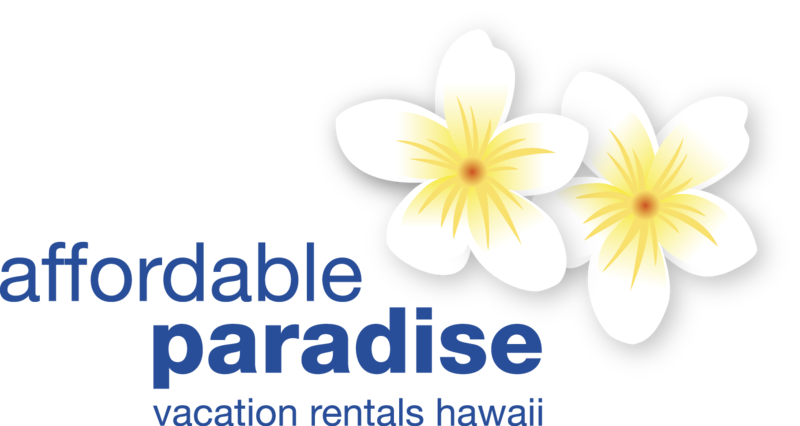 We offer boogie boards, snorkel equipment, yoga mat, some beach toy's, beach towels, mats and beach chairs. This deluxe 1 BR Cottage with queen bed & queen sleeper couch is just 1 1/2 blocks off the best part of world class Kailua beach. Master bedroom with queen bed, large closet and bath with shower. Living room couch pulls out into a queen bed with more closet space in the hallway. You can cook using the two burner cook top, the microwave, or enjoy a cup of coffee with the coffee maker. We added a refrigerator and freezer, toaster, hand blender, plus a washer and dryer for your convenience. Short 5 minute walk to Kailua town center where you can find grocery stores, unique boutiques, Starbucks coffee, tons of restaurants and bars. We are planing on adding an additional 800 square feet Cottage on our property and will give a discounted rate once we receive the ok from the building department. We respect that you are on vacation, completely respect your space and privacy during your stay. Of course if you need any help, suggestions or recommendations we are here for you. Kailua is a beautiful beach town! With fabulous dining, shopping and activity choices - one never gets bored here. Kailua and Lanikai beach are huge highlights of our town, but there are also amazing eating and unique shopping experiences as well. A long, graceful bay protected by a coral reef is Kailua’s delight. The nearly 4-mile-long stretch of ivory sand is made for strolling, and the weather and wave conditions can be just about perfect for swimming, kayaking, windsurfing and kitesurfing. South along the shore lies the exclusive enclave of Lanikai, with million-dollar views – and mansions to match. We would recommend a car, however Oahu is known for its amazing bus system with stops that can take you all over the island. Bus stop is just a few hundred feet away. We ask that you do not smoke inside and please be courteous of noise after 8PM. What a beautiful, cozy place for our week in Oahu. It was the perfect launching pad for our daily excursions. Ten minute walk to Kailua Beach--which is beautiful. Ten minute walk to downtown Kailua with some great restaurants. And the accommodations were bright, clean, cheerful and homey. Loved it all. Just Do It! You won’t regret the hospitality and tranquility of this cottage! I can’t wait to return and do it all over again! Enjoy! We so enjoyed our stay in the Hula Girl Cottage. Barbara has made the cottage very comfortable, with everything you need away from home. The location was perfect too, close to shopping, restaurants, and most importantly, the beach! Thank you! We have been travelling to the Hawaiian Islands for many years but this is the best we have ever seen. Barbara is such a charming person and she put so much emphasis on details and colors. The cleanliness and the decors are incredible. We highly recommend this cottage. Next time we stay longer. Great place! Lacked basic information and instructions. The cottage is clean, tastefully decorated, and exactly as described and pictured. The location is a short walk to the beach. However, unless you plan on doing nothing but the beach, as the description states, a car is strongly recommended. Barbara was responsive to messages prior to our arrival and during our stay. However, she was returning from being out of the country when we checked in and the young man that was there didn't know much about the rental. We were not notified that this would be the case nor were we ever provided with check-in instructions. Even when Barbara retuned she made no effort to come by and see if we had any questions. She lives on the property, yet we never met her during our 5 night stay. If we hadn't read in other people's reviews about the beach gear available and then searched for it, we would not have known it was there. Other self check-in places we have stayed at provide a binder with instructions about available amenities, local tours, and recommended places to eat, etc. This place has nothing. Lastly, prior to making our reservation back in May, I inquired to see if the cottage had A/C. Barbara responded that they planned to have A/C in the cottage by the time we arrived in September. No mention of any additional charge and no follow-up prior to us arriving that it was in fact available. We inquired about the A/C with the young man that was there when we arrived but he knew nothing about it. When I messaged Barbara the next day she said they had a portable unit they would bring over for $25/day. It was very hot and humid our entire stay. So I paid an additional $100 for 4 days of A/C that only cooled one room. Again the cottage is very nice and the description now states that the A/C is extra. But we were very disappointed with the lack of hospitality. We liked the Hula Girl very much--clean, roomy, convenient to town (with no car for first few days) and well-supplied cottage. (Cute lamp) Our privacy respected, so had long dinners and talk with our daughter who has lived on the islands for over 10 years, so we had the "quality time" we rarely get in phone calls. Wife left necklace behind but staff found it--thanks. Only concern, no A/C. On humid, 90 degree days would have been appreciated. The unit was close(10 min walk) to one of the best beaches on Oahu and stores. We felt at home and enjoyed our vacation even more being at this location. There are a nearby park and many markets and restaurants. The ceiling fan was great so that we can enjoy the natural breeze even in the afternoon. Owners were very thoughtful and we didn't mind the attached unit. We had a great stay at the hula girl cottage! Everything was just as pictured. The place very clean and well equipped with kitchen and beach supplies. The neighbourhood was quiet and within walking distance to the beach and shops. I’d absolutely recommend to anyone! Hübsches Zuhause auf Zeit, gute Lage zwischen Stadt und Strand. Uns fehlte an nichts. 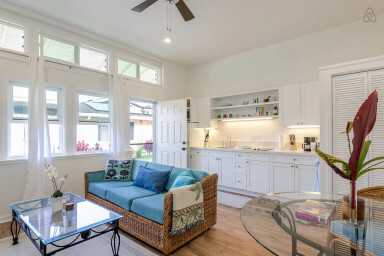 Wir hatten einen wunderbaren Aufenthalt im schön möblierten und gut ausgestatteten Hula Girl Cottage in Kailua. Die Nachbarschaft ist ruhig und die Lage des Apartments hervorragend. In Gehdistanz zur Stadt wie auch zum bekannten Kailua- und Lanikai Strand. Ausserdem stehen auch Fahrräder und ein Parkplatz vor der Türe zur Verfügung. Die Gastgeber sind sehr nett und ermöglichten uns einen rundum gelungenen Aufenthalt. Herzlichen Dank, wir würden jederzeit wieder kommen und können The Hula Girl Cottage empfehlen. The Hula Girl Cottage is fantastic! Excellent location and a beautiful, clean space. Barbara was an attentive host as well. The Hula Girl Cottage was absolutely perfect for our family of four. A great homebase to all our sightseeing. We had two small children and the house was well equipped with all our needs. Barbara even allowed us to move a glass table out of the living area into storage to accommodate our kids. The beach was a 10 min walk. Gorgeous! Make sure you snorkel at Lanakai. It was awesome!!!! Snorkeling gear is provided at the cottage! Can’t wait to return! I loved staying here. It’s cute and clean, like the photos show, and feels like it’s been recently remodeled. Nice kitchen and bath. Plenty of closet space, including two tall dressers in the bedroom closet. This cottage has all the beach amenities I wanted plus, thoughtfully, some other household items I have at home but which are rarely kept in rentals. (Thank you!) Great location. Close to the beach and town. It was fun riding the bikes around, and there are plenty of safe bike lanes. Kailua turned out to be a great location—fun things to do in town (including lounging at either of two amazing beaches, Kailua and Lanikai), close to the Pillbox Hike, plus ½ hour or less to the Makapuu Point lighthouse trail and the snorkeling at Hanauma Bay. Only about ½ hour into Honolulu but far away from the crowds. This is a great beach town to stay in without feeling overly touristic. And the price is so affordable I stayed for a week. It was one of those places where the longer I stayed, the longer I wanted to stay. Barbara, James and Eddie (their dog) are all friendly, while respecting my privacy. I can’t wait to come back.